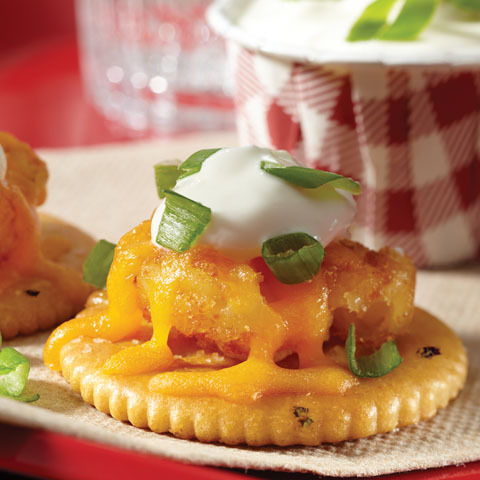 Makes 12 servings, 1 cracker sandwich each. Shape meat into 12 (1-1/4-inch) patties. Cook in nonstick skillet on medium-high heat 1 min. on each side. 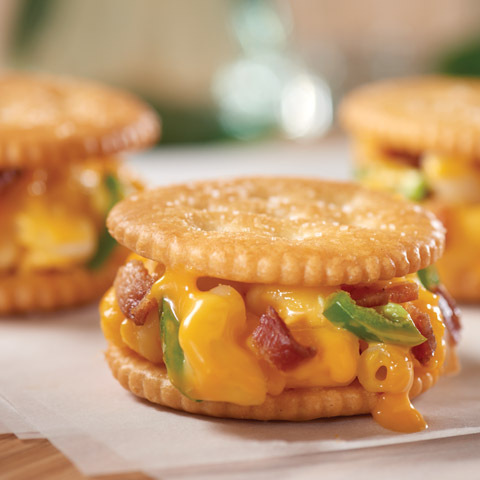 Place burger on each of 12 crackers; top with cheese and remaining crackers. 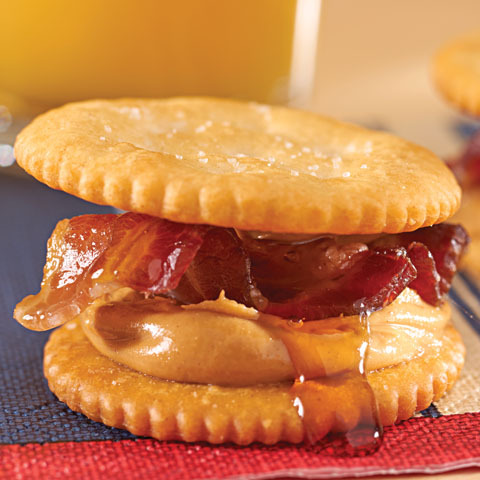 Wrap bacon slice around each cracker sandwich; place, seam side down, on baking sheet. Bake 5 min. or until burgers are done and cheese is melted. 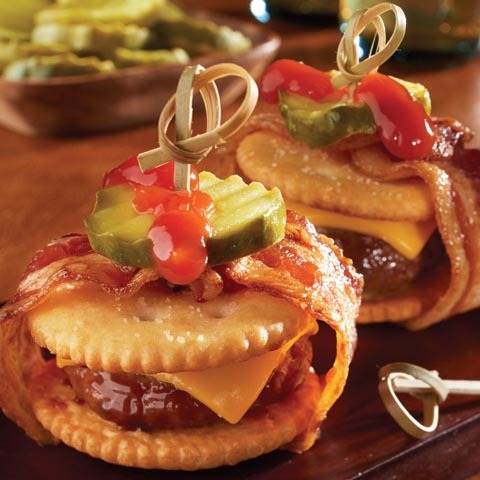 Jazz it UpInsert decorative toothpick into top of each cracker sandwich before serving.